Substitute Juan Quintero lashed home a penalty five minutes from time as Colombia came back from 2-0 down to stun France 3-2. 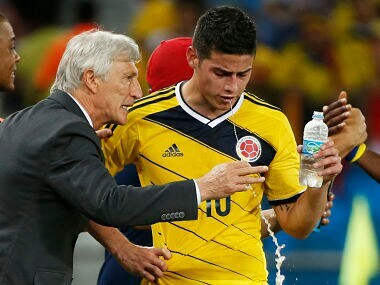 Two key Colombia players Bayern Munich midfielder James Rodriguez and Monaco striker Radamel Falcao figure in coach Jose Pekerman's squad for upcoming friendlies against France and Australia. Colombia improved after the break and they made it 2-0 on 61 minutes when Bacca, the Villarreal striker, bustled his way through the home defence and toe-poked the ball into the bottom corner. They will tell you that Brazil vs Colombia is all about two 22-year-olds -- Neymar and James Rodriguez. But the truth is that is about much, much more. 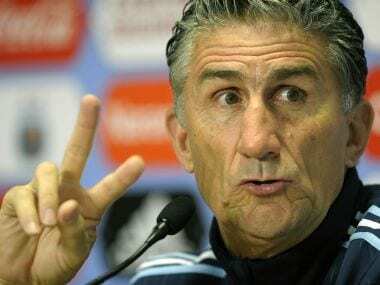 Colombia will not dwell on their dismal record against Brazil when they face the five-times champions in their World Cup quarter-final, coach Jose Pekerman said on Thursday. 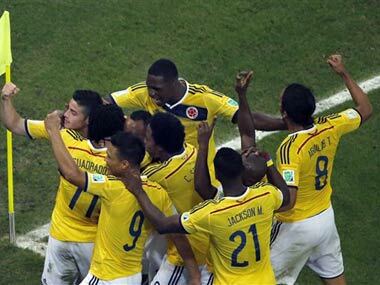 Colombia, playing their first World Cup in 16 years, have impressed crowds in Brazil and television audiences around the world by winning all four games so far and scoring 11 goals in the process. As two of world football's underachieving nations, Ivory Coast and Colombia will be desperate not to let slip a rare chance to qualify for the knockout stages of the World Cup when they meet in Brasilia.